The aftermath of a suicide is an endless tunnel – of pain, regrets and questions. Could something have been done to stop him? Why did she do it? What warning signs were there? 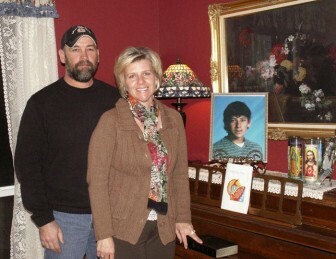 The act of taking one’s life leaves no easy answers for those left behind. Link: Compare Oklahoma and U.S. suicide rates since 2010. Oklahoma has a suicide rate that is higher than the national average and was 12th highest among all states and the District of Columbia in 2010, according to data from the U.S. Centers for Disease Control and Prevention. Both Oklahoma’s and the nation’s rates are increasing. The state’s suicide rate rose by 13 percent from 2000 to 2010, according to the CDC. And now, partly because of a rise in suicides among baby boomers, suicide is one of the leading causes of death among nearly all age groups. In 2010, more than 600 people committed suicide in the state. More funding for programs and better understanding of mental illness are crucial, Brose said. But his association also is mounting an effort to give people the basic skills for how to recognize and respond to a relative, friend or other person who may be suicidal. The approach is called QPR – “Question, Persuade and Refer,” and the hope is that it will become as widely accepted as CPR. QPR training outlines ways to persuade individuals to seek help and provides resources for referral. Brose’s organization in Tulsa is expanding its reach beyond the city, filling gaps created by the Oct. 31 closing of the Mental Health Association of Central Oklahoma in Oklahoma City. The Tulsa group is changing its name to reflect its broader mission and will take over at least two programs the Oklahoma City association had provided. One program provides free mental health services to low-income people and a second screens teenagers for mental health issues. Meanwhile, the Oklahoma Department of Mental Health and Substance Abuse Services is developing its own suicide prevention plan, using $500,000 in state funding in addition to federal grants. 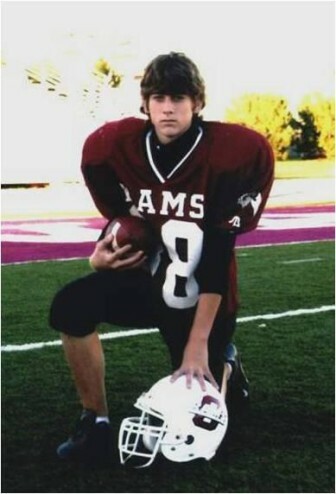 Nearly a decade after her teenage son killed himself, Michele Magalassi of Owasso painfully recalls Brandon’s behavior in the weeks before his death. His birthday was approaching, and birthdays in the family were big events. This time, Brandon, then 14, was not interested in planning anything. Brandon Magalassi played football in school in Owasso. On May 26, 2004, Brandon, a popular honors student and football player, got into some trouble at school, along with others, for writing in a student’s yearbook. His father, Billy Magalassi, picked him up, took him home and returned to work. Brandon’s brother Justin was home, but left to go to the school field house. Alone for that short time, Brandon scribbled a suicide note and then shot himself in the temple. He died more than a week later at St. Francis Hospital. “We were blindsided,” Michele said. 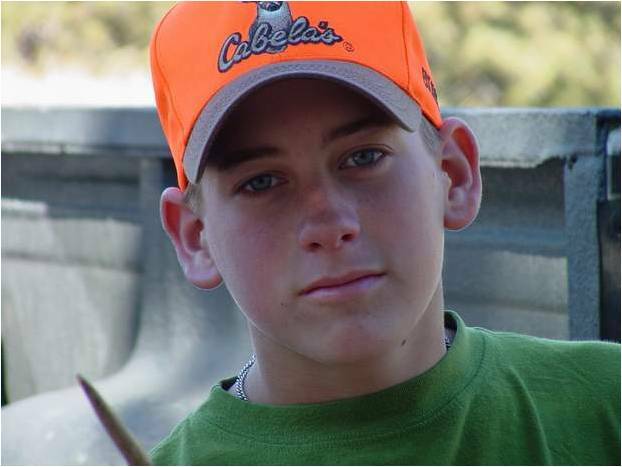 They had viewed Brandon’s behavior as a typical adolescent mood swing, not a mental-health crisis. Suicide rates are often an indicator of the prevalence of mental illness in a state. About a decade ago, a study by the federal Substance Abuse and Mental Health Services Administration found that Oklahoma had one of the highest rates of mental illness in the country. Yet people who suffer from mental illness, including depression, often do not seek help, Brose said. High suicide rates are attributable to factors such as a lack of access to mental health care and lingering stigmas about mental illness, said Rachel Yates, director of suicide prevention and outreach programs at HeartLine, a crisis resource center. That’s where QPR training comes in. Yates, a certified QPR trainer, has taught the free one-hour training course at universities, military bases and support groups. Part of the goal is to break through misperceptions that talking with someone about suicide increases their chances of acting on suicidal thoughts. Brose said his organization is also seeking corporate partners to help implement the approach, which can be included in a range of occupations’ training programs. QPR training has been used in police academies, teacher training courses and even cosmetology schools, Brose said. Michele Magalassi’s voice still falters frequently when she recalls her son’s death and the effects on the family. Justin was angry. Michele and Billy sought counseling. And then gradually, relying on their Christian faith, pastor, friends and others, the Magalassis began to move forward again in life. A key factor in suicide rates is the availability of firearms. Brose said that in homes with guns, the chances of a successful suicide attempt increase because a firearm’s lethal efficiency leaves little room or time for someone to reconsider and stop the attempt. More than 60 percent of all suicides in Oklahoma were carried out with a firearm in 2010, according to federal data. He notes that use of gun locks or gun safes can help deter individuals who may be contemplating suicide. If people who start to act on suicidal feelings can be deterred for at least 30 minutes or an hour, it may save their lives. The Mental Health Association sponsors support-group meetings at its Tulsa office twice a month for survivors of suicide. Billy and Michele Magalassi established the Brandon Magalassi Memorial Scholarship Foundation to raise awareness of teen suicide and depression. Brandon’s suicide has led the Magalassi family to reach out to others. The couple started the Brandon Magalassi Memorial Scholarship Foundation, which awards $1,000 scholarships to Owasso-area high school seniors who write essays on suicide prevention. The foundation also sponsors “Shadow Run” education events that focus on problems that may lead to suicide, such as cyberbullying. They talk to other parents whose children have committed suicide, although not all the parents want to talk. • For information on mental health services offered in Oklahoma communities, call a community referral assistance line at the mental health association in Tulsa, soon to rename itself as a statewide group, at (918) 585-1213 from 8:30 a.m. to 5 p.m. Monday through Friday. • Individuals seeking suicide outreach programs, compassionate listening, crisis intervention services or information and referral services can call HeartLine’s 211 service. • For information on QPR training, contact the mental health association at (918) 585-1213 or HeartLine at (405) 840-9396. • To reach national suicide prevention hotlines, calls 1-800-SUICIDE or 1-800-273-TALK.